When I first sampled locally distilled Hangar One Raspberry Vodka about a year and a half ago it was a resounding adoration at first sip. Made from Fraser River Meeker raspberries, this extraordinary spirit earnt my deep and faithful love from the moment of that initial taste onwards. It's a playfully girly-pink looking spirit, an appearance that does not bely its strength, its purity or its distinct lack of sweetness. It smells of nothing less than the most fragrant basket of raspberries and it fills your mouth with the same fruity intensity. It has been said that you can have too much of a good thing, but with Hangar One Raspberry Vodka's status as a limited edition from a single distillation that happens only once a year, you'll be lucky to find any left for sale by the time that Christmas comes around. Its scarcity makes it even more desirable. I stockpile a few bottles every year and am reluctant to drink the very last glass for fear that I might never be able to sup on its unique likeness again. That's something I'll never see in Paris. They haven't even heard of cocktails here, unless you count martini rouge– and I'm not talking about a sassy cosmopolitan. I'm normally a purist when it comes to vodka but Hangar One raspberry sounds like un bonheur! Sam: It is so very Sam! Did you ever try raspberry beer? 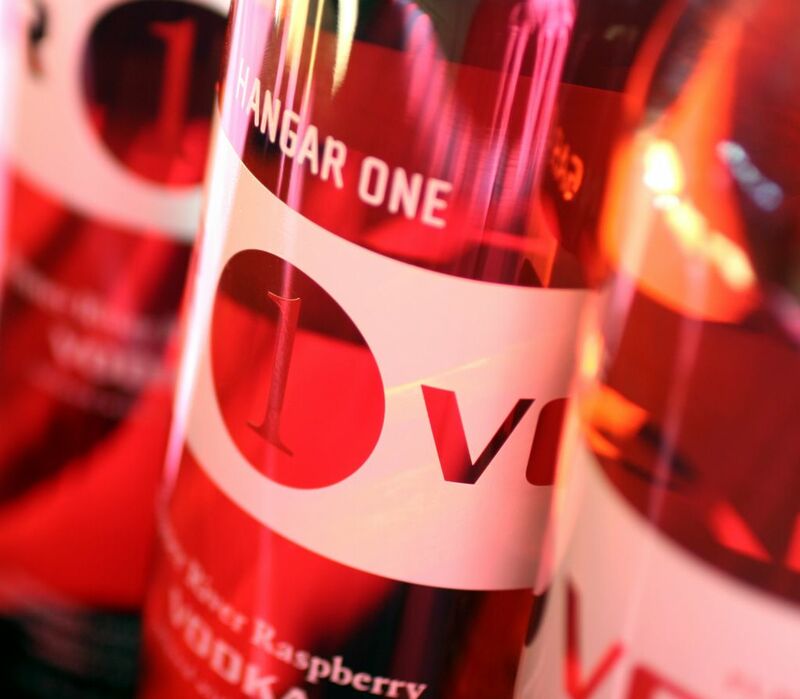 Not as chic as your oh so delicious vodka, but interesting too. Hanger One is Da Bomb! I am clearly going to have to find a way to come out West again as soon as I can--and here I thought I had eaten and drunk everything in California! It was a thrill to meet you--mad love! Robert Nanders, I think many folks in Russia infuse their own. There are many wonderful recipes in Taste of Russia by Darra Goldstein. Once you've tried a few of the traditional formulas, you may be inspired to make up some new traditions. Thanks, Sam, for the heads-up. I've been looking for a gift idea for someone special and this is really it! I really like rasberry vodka, but I don't think we would be able to get that particular one here in Switzerland. I would suggest you use your rasberry vodka to make rasberry mules, they're yummy. Just take some of the vodka, some fresh rasberries for that extra zing, fresh lime juice and ginger beer. There you have it a rasberry mule! Thanks Sam, for your kind words on Blogher! does it even make it to nyc? or is this just one more thing that makes me a wee bit jealous of west coasters? ?